Great Story on Moog Music! The Asheville Citizen Times did a great story on Chamber member Moog Music! Check out what they had to say at http://www.citizen-times.com/apps/pbcs.dll/article?AID=2008812280322. Only a few businesses inspire such fierce loyalty that their customers tattoo the name of the company on their bodies. Harley-Davidson comes to mind as one. Another is Moog Music, local manufacturers of legendary keyboard synthesizers and effects pedals for various instruments. “We have photos that people send us of their Moog tattoos,” said company president Mike Adams, who doesn't have one. Yet. Chamber: Today’s program was entitled Biltmore Park: The Vision. Can you share with me how this vision came to be? Cecil: This isn’t a new vision, it is an updated vision that my great grandfather had years ago when he built Biltmore Village. In the early 1900’s Biltmore Village had a train station, a church, a hospital, stores, apartments, and houses. It was a self sustaining community. Biltmore Park is nothing more than a modern day interpretation of that same community minded vision. Chamber: Tell me how this vision will be carried out here in Biltmore Park Town Square? Cecil: The build-out follows our company’s five tenents of community development: education, health care, economic development, arts & crafts/culture, and quality of life/environment. These five tenents have steered us to Town Square where business, art, recreation, living, and shopping are all conveniently located within a pedestrian friendly environment. Chamber: Biltmore Park has seen much growth in the past few years but the planning for this started many years ago. How long have you had this vision? Cecil: Biltmore Park opened in 1991 and has been growing ever since. In ‘97 and ‘98 we drew the plans for the mix-used urban community development that you see being built today. The construction of this phase of Biltmore Park began almost two years ago and will likely continue for another 12 months. Chamber: One of your five tenents was Quality of Life/Environmental. Tell me about the efforts in that area? Cecil: Making the best decisions and reducing our impact upon the environment has been a focus from day one. The whole concept of this community allows people to park their cars and walk to work or to the shops. We have protected our stream beds by preventing runoff through the use of above and below ground water storage systems. We built multilevel parking garages and mixed uses, such as apartments over retail, which reduced our footprint by over 25 acres. We crushed rock found on site and used it for our road beds. During the construction we have been sorting and recycling as much of our debris as possible. The Hilton® Hotel has applied for a LEED certification and will be equipped with solar panels and low flow faucets and toilets. The entire community is part of a national pilot program for LEED-ND (neighborhood development) certification. We are very proud of our environmental efforts. Chamber: With all this new development, this should have a significant impact on the local economy and the job market? How many people do you anticipate being employed within the community? Cecil: In the existing business park we already have over 500 people working in various companies. We expect that to double to around 1,000 people with another 400 plus working in the retail stores within Town Square. We have over 300 people working on the construction and management of the project alone. Chamber: What does the future hold for Biltmore Park beyond what we see being built today? Cecil: We would like to expand corporate technology, creating many high paying jobs for the community. There is contiguous land available for another 750,000 – 850,000 square feet of Class A office space. This is in addition to the 180,000 that already exists and the additional 90,000 that is being built right now. Chamber: What about the impact on the local road and infrastructure? Cecil: We are investing heavily in the local roads to make sure that accessing Town Square is easy. I-26 is being expanded to accommodate the additional traffic flow, new exit and entrance ramps are being paved and should be in use soon. We have a four lane road entering Biltmore Park that was designed to handle the traffic. Once on site there are four parking garages with over 2,000 and another 1,000 on street spaces-all free to the public. We are working with the city to secure public transportation from downtown to Biltmore Park Town Square. Spirits were high even though the temperature wasn't today at the ground breaking ceremony for Momentum, the new facility of The Health Adventure. Over 100 people came to share in the celebration. A 39,000-square-foot facility offering a healthy food service, a large changing exhibits gallery, and quality health and science exhibits that spark imagination and positive transformation. An environmentally friendly campus with unique outdoor exhibits, a children's garden, an open air amphitheater and walking trails nestled amid 10 beautiful acres. North America's very first Pedal-Powered Monorail in which you can pedal through the treetops for a bird's eye view of the campus! The Turner Treehouse: A treehouse large enough to hold it's own classroom where you can enjoy endless opportunites for exploration, climbing, sliding and learning. Below are some of the artist rendering of the new facility, check out momentumscience.org for more photos and information! What does the future hold for Biltmore Village? Asheville’s historic Biltmore Village has seen a surge in growth over the past year. Much of this growth has to do with the retail and commercial property development by Hill Partners. Hill Partners is a commercial real estate firm that specializes in shopping center and mixed use developments. Hill Partners has recently brought Curtis Williams in to manage the property and their future plans for development in Biltmore Village. I was fortunate enough to sit down with Curtis last week and interview him on the future of Biltmore Village and what plans Hill Partners has for the area. Chamber: Welcome to Asheville Curtis, how are you settling in? Williams: I have been in town for about two months and am really enjoying it. I visited Asheville in my childhood and worked on the leasing of the Asheville Mall several years ago, so I was already familiar with the community. Asheville is exciting, we are getting lots of press, retailers, restaurants, and hotels are rediscovering Asheville. It is a busy time in the community. Chamber: Hill Partners is developing properties all over the country, what attracted Hill Partners to the Biltmore Village and Asheville? Williams: There is a terrific residential area surrounding Biltmore Village and the number of tourist that visit the area is amazing. Per capita Asheville is one of the most productive cities in the state. The retail stores that have moved into 10 Brooke Street have had 15 – 50 % increases over projections, since May of 2008. Chamber: What distinguishes this Hill Partners project from others? Williams: Hill Partners is well known as a developer of upscale mix use lifestyle space projects. They have tremendous experience with urban mix use projects. Here in Biltmore Village we have been able to weave development ideas into the local community, allowing them to fit into the historical nature of Biltmore Village. Chamber: What non retail spaces do you have available for the business community of Asheville? Williams: Above our retail stores we have 31,000 square feet of Class A office space available. The space provides tenants with a great environment close to retail and restaurant. We are currently working with a number of business interested in the space and we should be outfitting the space for them very shortly. We are targeting, financial firms, medical groups, law offices, CPAs, insurance groups, and hoping to mix those with other professional groups like technology based companies. Chamber: What separates your property from other office spaces in the area? Williams: There are many advantages to working in the Biltmore Village area. We are excited to offer free parking, which has solved a long concern of Biltmore Village merchants. We have over 160 secure spaces under our shops. Biltmore Village is one of the most pedestrian friendly areas of Asheville, there are over 20 cafes and restaurants withing walking distance and the 7 hotels. 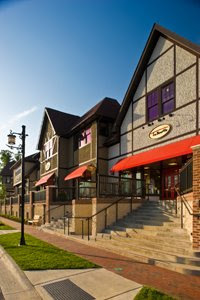 Chamber: What are the future plans for the Phase II and Phase III of the Biltmore Village projects? Williams: Our next phase will be Phase II 31,000 retail space with parking, set to open in fall of 09. Chamber: Obviously Hill Partners has a vested interest in the success of the Biltmore Village area. What changes and improvements do you see on the horizon for that area? Williams: We see it becoming a regional and national destination piggy backing off the success of the Biltmore estate. We hope that Biltmore Village becomes a top destination for retailers, restaurateurs, hotels, offices, and residential space. 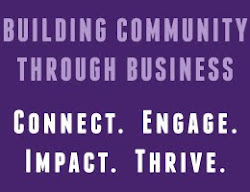 Chamber: What value do you see the Chamber providing to the business community of Asheville? Williams: The Asheville Chamber of commerce provides great support and is engage with the business community with networking opportunities and driving the message that Asheville is a great place to be and will continue to be a great place. Holiday nights in downtown Asheville get a glitzy makeover this December with Asheville Seasonal Sizzle: 21 days of not-so-silent nights. Merrymakers will enjoy free fireworks, live entertainment, seasonal appetizer specials at local restaurants, and extended hours of evening shopping in downtown Asheville’s eclectic boutiques and craft galleries. Weekend firework displays–Seasonal Sizzle at Seven–will take place on Saturdays, Dec. 6, 13 and 20 at 7 p.m. in downtown Asheville. Participating independent restaurants will feature “Appy Hour” appetizer specials on Thursdays, Dec. 1 through 21 from 5 to 7 p.m. Local restaurants will also offer “Sizzle Specials” on the Saturday evenings with fireworks (Dec. 6, 13 and 20). Asheville visitors will receive a warm holiday welcome as “Downtown Docent” guides walk the downtown streets directing guests to Seasonal Sizzle festivities, holiday happenings and other points of interest. After the fireworks, visitors are encouraged to enjoy live music, theater and dance performances including the Warren Haynes Christmas Jam, Asheville Ballet’s Nutcracker and holiday theater performances at North Carolina Stage Company, Diana Wortham Theater and Asheville Community Theater. Asheville Seasonal Sizzle: Enjoy 21 days of not-so-silent holiday nights as Asheville's nightlife explodes with holiday magic during Seasonal Sizzle in December. Merry makers will enjoy holiday firework displays, live entertainment, “Appy Hour” appetizer specials at local independent restaurants, and extended hours of evening shopping in downtown's eclectic boutiques and craft galleries. Seasonal Sizzle at Seven Fireworks: Saturdays, Dec. 6, 13 & 20 at 7 p.m. Giant Puppets on Parade & Singing Santa: Asheville gets decked out for the holidays with a family-friendly parade where giant locally-crafted puppets will march the streets of downtown Asheville. Lisa Sturtz of Red Herring Puppets has created larger-than-life creatures for the likes of Disney, Jim Henson Productions and The Ice Capades. After the parade, Singing Santa will croon and greet children before collecting his mail from the North Pole Express Mail Box at Prichard Park. Nov. 22 at 11 a.m.
How can the Chamber better serve you? Open thread: How can the Chamber better serve you? Is there something that we can be doing better, or doing more of? We want to know. Write a comment on the blog to let us know how we can better serve you! The Economic Development Coalition for Asheville-Buncombe County (EDC) and the Asheville Area Chamber of Commerce announce the appointment of Benjamin P. Teague as Senior Vice President of Economic Development. Teague is currently serving as Vice President of Economic Development with the Area Development Partnership (ADP) in Hattiesburg, MS and previously worked with the Mississippi Technology Alliance (MTA) in Ridgeland and Jackson, MS.
Teague is considered a new model economic development professional with experience in high-tech and niche recruitment, sustainable growth, public/private partnerships, innovative financing and strategic planning. In addition, he is schooled in the fundamentals of retention of existing industry and business, advanced manufacturing recruitment and start-up businesses. “Ben is a highly motivated and articulate professional that will be an asset to our economic development program,” said Robert Sipes, Chairman of the EDC and Vice President-Western Region with Progress Energy. “Ben’s skills are a perfect complement to the present staff as the EDC assumes more responsibility for initiatives identified through the HUB Alliance effort,” said Richard J. Lutovsky, President & CEO of the Asheville Area Chamber of Commerce. “I am looking forward to joining an excellent economic development organization and being a part of the Asheville area’s growth and development,” said Teague. Teague has a B.S. from Mississippi College where he played football and an MBA with honors from the University of Mississippi. He has been certified as an Economic Development Financial Professional (EDFP) and will sit for the Certified Economic Developer (CEcD) exam later this year. Teague’s start date is December 10, 2008. After a few months of steadily worsening job news, the Asheville metro area’s unemployment rate declined in September, according to the latest N.C. Employment Security Commission statistics. The metro area (Buncombe, Henderson, Haywood and Madison counties) saw the rate dip to 5.2 percent from 5.5 percent in August. That rate tied with Durham for lowest in the state among metro areas. The Asheville Area Chamber of Commerce, Advanced Business Equipment, and the Advocates for Small Business will present the 2008 Sky High Growth Award to 62 small businesses that have experienced outstanding growth in sales and/or employment over the last several years. These 62 businesses collectively represent over $300 million in sales, over 2400 full-time jobs, and over 800 part-time jobs. The program was held Thursday, October 30, at the Baker Exhibit Center in the North Carolina Arboretum located off of Brevard Road. The event began at 5:30 p.m. with hors d’oeuvres, cocktails, networking, and special entertainment. View a slideshow from the event on the Chamber website. Appalachian Carpet & Textile Cleaning, Inc. Haunted Ghost Tours of America, Inc.
HomeSource Real Estate and Construction, Inc. The Small Business of the Month for November is Lynne Harty Photography near downtown Asheville. Lynne Harty began her business in Asheville as a solopreneur in 2000. Lynne Harty became a commercial photographer after graduating from college in 1984 in Atlanta. Like many entrepreneurs, Lynne moved to Asheville for the wonderful quality of life. She was hired by Mobilia to create a series of fine art prints which reflected the “look” of Asheville, and a similar series of colorful imagery is now in demand by other cities that are attempting to create or define a special “look” of their own. Currently, Lynne has a show featuring some new directions in her fine art work at Mobilia on Haywood St. in downtown Asheville. Lynne donates many of her art prints for fund raisers for a variety of organizations. The Chamber has been the recipient of her work and has featured her photography on the covers of several issues of the Asheville Magazine. I wanted to let you know that Asheville fares well in the Fifth Annual Places Rated Survey by National Geographic Traveler that rates the sustainability of special places around the globe. We ranked in the top 50 globally, 9th among the US destinations included, and 1st among NC rated destinations. I've posted links to the list and to the specific comments of the judges. The article which appears in the November/December edition of National Geographic Traveler is also posted below. It's time travel of a sort. You know the feeling. In rural Vermont, you walk into a country grocery store, the screen door slapping shut behind you, and you've stepped back 80 years. Walk the streets of Verona, Italy, and you step back 800—if it weren't for all the tourists, that is. In this, our fifth annual destination-stewardship survey, we look at how well historic destinations are withstanding mass tourism, neglect, and wrecking balls—as well as the more subtle threat of overplaying the past, where a place ends up embalmed as a lifeless museum or Disneyfied into a cute parody of its true heritage. For this year's survey, conducted by the Society's Center for Sustainable Destinations, we chose more than a hundred historic places around the world. We then asked an international panel of 280 experts to evaluate the destinations based on our six criteria (see About the Survey). This being a destination survey, we skipped living museums and stand-alone sites and chose only populated communities possessing a historic character, district, or dominant site. The score for each place is the average of the panelists' ratings, accompanied by a sample of comments they posted in the course of the survey. We also skipped some destinations we'd rated in previous surveys. Austria's Wachau Valley and Welk Abbey got top honors with a score of 88 for excellent preservation of both landscape and structures. Surprising to some might be one of the best U.S. ratings: a 78 for Columbus, Indiana, renowned for its modern architecture. Lowest on the survey, Colorado's Central City scored only 34. Panelists agreed that behind its historic facades the town had lost its soul to ranks of gleaming slot machines. Suburban sprawl takes a toll, too. Charlottesville, VA, and Harpers Ferry, WV, have decent scores (72 and 67 respectively), but the greater "Hallowed Ground" countryside of which they are a part does not—45—due largely to rampant development. Luckily, such failures are exceptions. Many U.S. destinations score well—Charleston, SC, Port Townsend, WA, Red Wing, MN, Asheville, NC. Some owe their success to downtown revitalization programs like Main Street, a well-respected initiative of the National Trust. In other cases, like Charleston, the citizenry as a whole has developed a sincere interest in protecting the character of the community. In the end, people make the difference. No surprise there. A homegrown sense of stewardship, along with the support of caring visitors, is what will secure the future of our pasts. We publish these annual surveys in part to promote public discussion and action in support of destination stewardship. We encourage communities to take measures that will, in effect, raise their scores, and so become even better places to visit and live. In an unprecedented move, therefore, we are pleased to be working with Preservation magazine, published by the National Trust for Historic Preservation, to help show why some U.S. places do well, others not so well, and what can be done about it. Go to www.preservationnation.org, and you can read Preservation's in-depth online profiles of five U.S. towns selected from this survey. You can also learn about Trust programs, such as Main Street and Heritage Tourism, that help communities make the most of their historic assets. For your own visits, check out the Trust's Historic Hotels directory at www.historichotels.org. Asheville Area Chamber of Commerce member, Angie Heidenreich, owner of LuLu's Consignment Boutique in Fletcher, N.C was recently interviewed by the Associated Press and the piece landed in Forbes. COLUMBIA, Mo. Forget about the outdated notion of thrift shops as the refuge of the working poor, the down and out or the vintage fashion hipster. In these troubled times, the powerful lure of a secondhand retail bargain is attracting a whole new breed of customer. The Salvation Army and Goodwill Industries International, the nation's two largest charitable resale organizations, report year-to-date sales increases of 6 percent to 15 percent. The gains are even more pronounced in the private sector. In an industry trade group survey of more than 200 resale and thrift shops, nearly two-thirds of those businesses reported higher sales in 2008 compared to the previous year. The average sales increase: 35 percent. Consumers "can't change the price of gas. They can't change the price of food. They can't make the stock market go up again," said Adele Meyer, executive director of the National Association of Resale & Thrift Shops. "But they can control the price of clothes and furniture by being a savvy shopper." The Salvation Army store in Dublin, Ga., located halfway between Atlanta and Savannah, has seen its sales increase by 50 percent this year, said store operator Gary Spivey. The comparative affluence of his new customers is obvious. "We're seeing a lot more middle-class and upper-class customers we haven't seen before," he said. "Without even asking, you can just look in the parking lot (at their cars)." Savers Inc., a for-profit thrift store chain based in Bellevue, Wash., has had a 10 percent growth rate, said chief executive officer Ken Alterman. The company now has 220 Savers and Value Village stores in the United States, Canada and Australia, and expects to open 25 new stores in each of the next several years. According to Alterman, 75 percent of the company's customers are college educated, with an average income between $50,000 and $65,000. Thirty percent of its customers have household incomes exceeding $100,000, he said. Some of the chain's most successful stores are in Redmond, Wash., home to Microsoft; the high-end waterfront in Victoria, British Columbia; and the Hawaiian island of Oahu. "We're in these beautiful neighborhoods, and the stores just thrive," Alterman said. "We hold up well in this economy." Widespread economic turmoil and personal financial struggles aren't the only factors driving the increased interest in resale retail, experts say. A growing "green" ethos among American consumers has also propelled the industry. "People are really savvy now," said Angie Heidenreich, owner of LuLu's Consignment Boutique in Fletcher, N.C. "With consignment you make money, you save money and you recycle. It's a no-brainer." Heidenreich opened her consignment store - which essentially serves as a middleman for customers who want to buy and sell clothes - in November, 2006. Sales increases of nearly 100 percent forced her to more than triple the store's size to keep up with demand. "We're getting more people in who probably wouldn't have stepped in the door," she said. "It's more acceptable now than it was in the past. The image of thrift stores were kind of grungy, dingy places. Now some of them are like boutiques." In the Missouri college town of Columbia, both Goodwill and The Salvation Army report recent sales increases of roughly 25 percent. April Hayes, a 28-year-old legal secretary, has shopped at the Columbia Goodwill store for six months at the urging of her mother and sister. During a recent weekday lunch break, she combed the store's racks in search of business attire. "I've gotten addicted," she said. "You can pay $2 or $3 for the same thing that would cost you $400 at the mall." The surge in thrift store sales has its downside, though. The Salvation Army reports a dangerous decline in donations. Just as consumers are now more likely to buy secondhand goods, they are also less likely to get rid of their used clothing or furniture. "We rely heavily on consumer culture," said spokeswoman Melissa Temme. "People are finding that the couch can last a little longer. The suit, while it may not be perfect for this year's fashion, is fine." Money earned at its thrift stores helps fund the agency's adult rehabilitation program. So while administrators are thrilled at the growing revenue, they also fear an inventory shortage. "At some point it's going to come to a head," Temme said. "If donations continue to stay down, we're going to lack items to sell." As a result, The Salvation Army is rolling out a national ad campaign in January - the first in its 128-year history in this country. New customers aside, thrift shops continue to attract a devoted cadre of bargain-hunters. Now that more traditional shoppers have been exposed to the secondhand market, its boosters don't expect that renewed interest to taper off anytime soon. "People always love a bargain," Meyer said. "Nowadays, it's just more necessary." Meals on Wheels is Looking for a Few Good Men and Women! Meals On Wheels of Asheville and Buncombe County is currently looking for volunteer drivers to deliver meals to the homebound elderly. Volunteering is easy and does not require a huge commitment of time. Delivery of a route typically takes 1 to2 hours and volunteers can choose to deliver once a week, once a month or on an as needed basis. Deliveries are typically done between 10 a.m. and 12:30 p.m. leaving the rest of your day open for other things! Years ago, before downtown Asheville became known for its art galleries, there was a time when an artist couldn’t find a place to hang his hat, much less his art. Much of downtown was boarded up. There were only a couple of art galleries open. So in 1988, artist Jim Morgan organized 30 other artists and opened the Asheville Gallery of Art, this year celebrating its 20th anniversary, in the same location it occupied 20 years ago — 16 College St. The current 28 members of the co-op gallery are gathering 1-5 p.m. Sunday to celebrate. The public is invited. “Just about everyone has come and gone,” Cathy Searle, a resident of Beverly Hills, said of her fellow founding members. The gallery was a big idea in its days, she said. “Jim was excited about the idea and got us all pretty excited,” she said. Each member has 8 feet of wall space to display his or her work (as well as the responsibility to man the shop one day each month). Each 8-foot display area has its own look, affording visitors a quick overview of some of the city’s two-dimensional artists. “It has certainly given me the opportunity to have my work where the community can see it on an ongoing basis,” watercolor painter Ann Vasilik said. Not having galleries to show in when she and her husband moved to Asheville in 1988 was a frustration, she said. “In other parts of the country, there was a show to be entered or an organization to be joined just every other block, especially in California, where we had lived,” she said. For six years, Vasilik ran the fine arts show at the old Biltmore Dairy property near the Biltmore Estate. The show provided one of the few opportunities for artists in the area. That made the Asheville Gallery of Art all the more appealing to artists and people who wanted to buy original work, Vasilik said. One of the things she loves most about it is the camaraderie the gallery makes possible among the member artists. She also loves that it gives them an opportunity to meet people who love art. “We artists love nothing better than to talk art to other people,” she said. The Small Business of the Month for October is Mail Management Services, LLC located in Asheville. Mail Management was established in 1998 and has grown to a staff of seventeen. Mail Management provides full mailing services including collating, envelope insertions, addressing and postage as well as pick up and delivery for certain jobs. They are currently expanding their print capabilities. The company serves as a model for mail services in other cities such as Charlotte and Denver, providing guidance and instruction for their employees. Mail Management supports numerous non-profits with donations or in-kind work. Asheville placed 46 on the list of Best-Performing Cities 2008 released by Milken Institute/Greenstreet Real Estate Partners, up 71 spots from the 2007 rank. The gain is the second largest among all 200 cities in the list. The annual study, Best-Performing Cities: Where America’s Jobs Are Created and Sustained, ranks metropolitan areas by how well they are creating and sustaining jobs and economic growth. Factors used to determine the ranking include: short- and long-term job growth; wage and salary statistics; and concentration of high-tech industries. Asheville’s rise in the rankings was driven primarily by strong one-year job growth, earning a rank of 14, and five-year job growth, ranked at 52. The Economic Development Coalition for Asheville-Buncombe County (EDC) is a unique public-private partnership whose goal is to promote quality, sustainable high-paying jobs and responsible community investment. This Coalition is dedicated to the continuous improvement of the local and regional economy and well-being of its citizens. Since its inception in 1994, the EDC has assisted new and expanding firms with capital investments totaling over $585 million and the creation of more than 8,500 new jobs in Buncombe County. Next week will be a busy week for networking in Asheville with both Business Before and After Hours taking place. Business After Hours presented by Clear Channel Asheville will part from its normal Thursday time for a special Tuesday edition hosted by Clear Channel Asheville. Business After Hours will take place on Tuesday, September 23 at 5:30. The rescheduled Business Before Hours presented by BB&T will be held on Thursday, September 25 at 8 a.m. at the new Capital Bank location on Market Street in downtown Asheville. Driving is a part of all of our lives, it is certainly part of our businesses. With the recent gas shortage and spike in prices we thought we should share some simple steps we can all take to improve our fuel efficiency. Our friends at the Detriot Regional Chamber have joined forces with the Auto Alliance to help spread the word on EcoDriving. What is EcoDriving you ask? It is simple there are many small things we can do as drivers to help reduce the amount of gas our vehicles consume. The ecodrivingusa.com website is full of helpful hints and videos that can make a difference. Do you know how or why using your air conditioner help reduce fuel at high speeds, but might hurt at low speeds, check out Tip #5 at ecodrivingusa.com.